Los autores de este libro, con isbn 978-84-9036-433-8, son Caroline Nixon y Michael John Tomlinson, esta publicación tiene noventa páginas. Otros libros de Tomlinson, Michael John son Life Adventures. Pupil's Book. Level 2, Life Adventures Level 3 Pupil's Book, Life Adventures Level 1 Teacher's Book, Life Adventures Level 1 Pupil's Book, Life Adventures. Pupil's Book. Level 5, Life Adventures Level 1 Activity Book With Home Booklet And Online Activities, Life Adventures Level 3 Activity Book With Home Booklet And Online Activities y Life Adventures. Activity Book With Home Booklet And Online Activities. 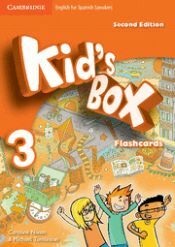 Level 2. .
Otros libros de Nixon, Caroline son Kid's Box For Spanish Speakers Level 1 Pupil's Book, Kid's Box For Spanish Speakers 5: Class Audio Cds, Kid's Box For Spanish Speakers 3 : Wordcards, Kid's Box For Spanish Speakers 3 : Class Audio Cds, Kids Box For Spanish Speakers, Level 5 : Pupil's Book, Kid's Box For Spanish Speakers, Level 1 Wordcards, Kids Box For Spanish Speakers, Level 1 : Class Audio Cds y Kids Box For Spanish Speakers, Level 2 : Class Audio Cds. .